WANTING TO IMPROVE YOUR GYMNASTICS SKILLS? 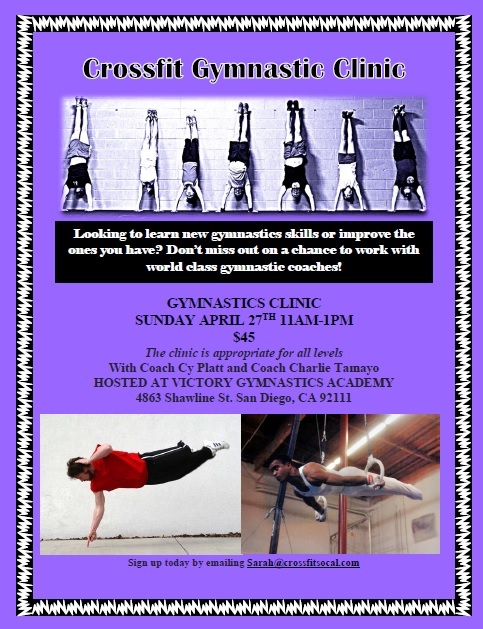 COME OUT TODAY TO THE GYMNASTICS CLINIC FROM 11AM-1PM at VICTORY GYMNASTICS. SPACE STILL AVAILABLE. NO REGISTRATION NECESSARY. PAYMENT MADE UPON ENTRY.